UPDATED: Mon., Nov. 5, 2018, 10:44 p.m.
Quality minutes can be measured in many ways. For Melody Kempton, it was the 5,000-plus fans who watched her and Gonzaga beat Carroll College last Friday night at the McCarthey Athletic Center. “I’ve never played in front of that many people,” said Kempton, a freshman who starred at Post Falls High School. If Kempton was impressed, so were her teammates and coaches. “I liked the way Mel played,” coach Lisa Fortier said Monday after watching film of the 84-43 win over the NAIA Saints in which Kempton came off the bench, scored 10 points and pulled down a game-high nine rebounds. Next up is the real thing, the season opener Wednesday night against Montana. Kempton can’t wait. While allowing that the college game is “a lot faster and stronger,” the reigning Idaho Gatorade player of the year says she “brings some speed and a lot of energy” to the court. The Zags will try to turn it up a few notches on Wednesday, especially on the boards. “I thought they (Carroll) got about every offensive rebound they wanted,” Fortier said before Monday’s practice. GU still won the overall rebounding battle 38 to 29, shot 55.7 percent from the floor, and 46.7 percent from beyond the arc, while limiting the Saints to 30.2 percent shooting. 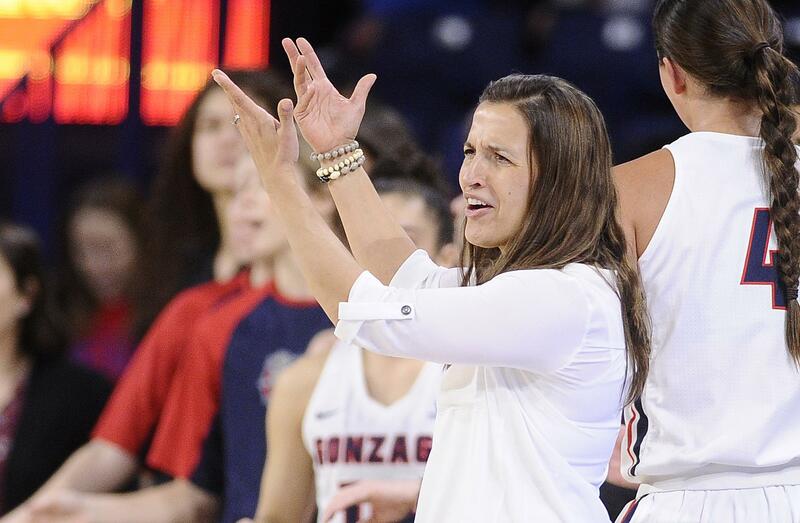 That was the only major blemish in the 41-point win, which saw the Zags run the ball freely up the court with the backcourt trio of Laura Stockton, Jesse Loera and Chandler Smith. “Obviously Chandler (9 for 12 from the field for 23 points) had a great game,” Fortier said. Montana also played Carroll in its exhibition game, beating the Saints 71-56 in Missoula on Oct. 30. The game wasn’t that close, as Montana led by at least 20 for most of the second half. After a slow start, Montana went on an 18-0 run midway through the first half to take control. Junior forward Jace Henderson had 12 points and 13 rebounds for the Griz. Montana was 14-17 overall last year, including 9-9 in the Big Sky Conference. The teams met last year in Spokane, with GU taking a 70-55 win thanks to a game-high 23 points from Montana native Jill Barta. Smith added 16 points and six boards. Published: Nov. 5, 2018, 9:27 p.m. Updated: Nov. 5, 2018, 10:44 p.m.